Posted at: 1/19/2012 02:00:00 PM . This is an interesting coupon. 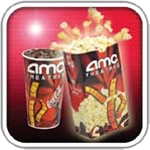 Bring your Red Tails ticket stub along with the printed coupon to the concession stand to get a free small popcorn at AMC. The coupon is only valid for the opening weekend of January 20-22, 2012.